Paediatric allergist with many years of experience in both hospital and outpatient practice. She specializes in prick/patch testing for food and inhalable allergens, and offers desensitization (immunotherapy) for inhaled allergies, if indicated. 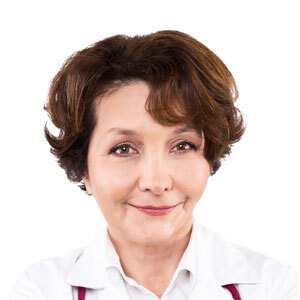 In everyday practice, Dr. Wojtowicz deals with general paediatrics with special attention to allergic patients; she diagnoses and treats allergic rhinitis/conjunctivitis, atopic dermatitis, urticaria, but also asthma and food allergies.